Written by: Victoria Irwin on July 18, 2013. 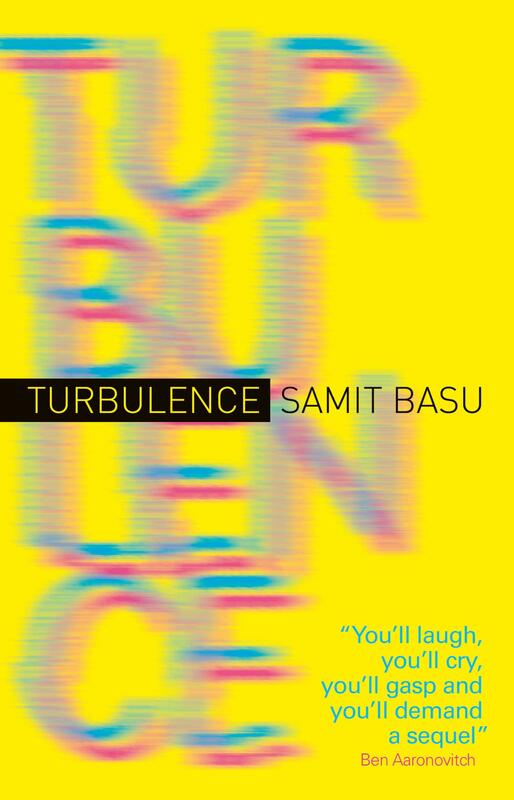 Samit Basu is the 33 year-old writer of the new superhero novel Turbulence, from Titan Press. 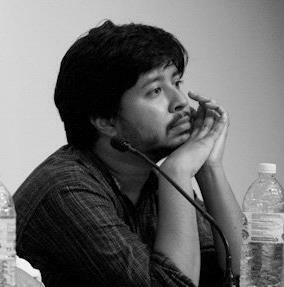 Raised in India and further educated in London, Basu became a force in writing when in 2003 Outlook Magazine declared him one of the 16 Indian writers under 25 to watch out for. He has written several books including The Simoquin Prophecies and The Manticore’s Secret, as well as having co-written the graphic novel Untouchable. 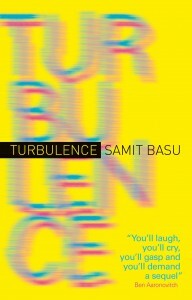 Turbulence is the first novel to gain Basu international acclaim. Victoria of The Geek Girl Project recently asked him a few questions regarding his writing style and his new novel. GGP: Mr. Basu, what made you want to write a novel about superheroes? Basu: I started out wanting to write a novel about people in a part of the world that needed drastic change, not preservation and protection, suddenly acquiring the capacity to really change things, and achieve the fulfillment of their own deepest desires as well. Which is essentially what Turbulence is. But then once they got these powers, these strange new physical abilities, they’d clearly see themselves as having become whatever the pop culture of the time dictated. If it had happened in ancient Greece, they’d think they were demigods; in today’s world, it would be superheroes. So the whole superhero thing was something I arrived at, not really something I started out with. That said, I wanted to write a novel about here and now, and superheroes have embodied the zeitgeist of the last decade or so; their rise to mainstream dominance is also a very recent thing, and I like that the book absorbs that. GGP: What drew you to the concept of the characters gaining superhuman powers on a transcontinental flight? Basu: I love this question, this is something I hadn’t really thought about before. I guess a transcontinental flight is a good symbol of where we are now as a species; it’s also a phenomenon where you’re displaced over great distances, and you’re stuck in this alternate dimension for a few hours and you arrive in a different world. You never really know what you’re going through; you have no control over anything. So it’s a good metaphor for travel but also stasis, change, like being on a really long elevator ride. I think it also has to do with the name Turbulence, which I really liked not only because it was literally flight-related, but it also referred to these unknown forces fundamentally shaking up all the systems of the world. On a more practical sense, I wanted to write about people I felt I understood on some level; in India, there are people who live a minute away from my house whom I have absolutely nothing in common with; I do not really know or understand their lives and what drives them at all. But a BA flight, and the people on it, I felt I could have a certain sense of, having been on that flight several times myself, and having watched the people on it quite keenly. Trying to set this book in places I’d actually been was a big part of it, and since I knew the action would largely be centered in India and the UK I wanted a key part of it to happen on the part that really connects them. GGP: Who or what was your basis for the power-hungry Jai? Basu: Classic superheroes. People who fought for country, or ideologies, or against a demonized other. In most of comic book history, Jai would have been a hero; in a sense, he’s Captain America turned bad. It was interesting to give someone very traditional superhero powers, but have the desires that drove them be fundamentally out of date, no longer relevant in a world where powers like Aman’s and Uzma’s would be so in tune with the times, but really powerful nevertheless. I don’t really see Jai as a villain; he always has a clear reason for doing whatever he does, but it’s just that the world has moved on. GGP: Would you like to see Turbulence become a film? Basu: I’d love to. There have been several steps in that direction, but nothing’s really moving as yet. But, you know, I’m an Indian writing books about things that Indians aren’t particularly supposed to write books about. I’m used to waiting for systems to change. Bollywood doesn’t have the right mindset or skill-set for it yet, and who knows what Hollywood would do with it. I’m obviously very keen to find out , of course – it would be a brilliant experience. GGP: How do you feel your childhood in India has influenced your writing and the way you see the world? Basu: I don’t really know. I know it led to a love of books, of books and films and stories across genre and across media, because I essentially grew up in a home library in one of the few Indian cities where reading for pleasure was not frowned upon. I spent a lot of time as a child watching 80’s American cartoons, and reading world literature, and later, in my late teens, falling in love with the Internet because it opened up the world to me. But it’s not really something I’ve ever thought hard about. GGP: Are you planning on a sequel? If so, what can the readers expect to see? Basu: Yes, I’ve actually just finished the first draft. It’s called Resistance, it’s set in 2020, and is largely about the world’s response to growing superhero dominance. It’s far more global, hopping all over the world – in fact, large parts of it take place in New York. I felt very odd writing a book with superheroes in it but no America in it – it seemed slightly wrong, somehow – but I’ve never been to America and I wanted Turbulence to be set in places I’d actually been to, mostly. But it was nice setting chapters in an imagined future New York – it’s a city that has existed in so many forms in my head over the years. Just like Tokyo, another key location that I’ve never been to but have always been fascinated by. In broad terms, let’s say if Turbulence is the Superman book, Resistance is the Batman book. GGP: I also see you write comics. What was your favorite comic book project to work on? Are you working on any new comic books? Basu: It’s a work in progress, a zombie comedy set in Delhi called UnHoli. Holi is a festival of colors, where people run around screaming and splashing each other with fountains of color, mostly red; there’s also a lot of public drunkenness and staggering about and weird splotches on the streets. So obviously if a zombie apocalypse happened on that day, it would be a long time before anyone noticed. Another comic I finished recently, Local Monsters, is out in India soon. It’s the often-tested scenario of monsters as flatmates, a sort of Indo-bestial Superfriends. GGP: What is more fun to write: a comic book or a novel? Basu: A novel. You’re in charge of the world, you build it as you like, you’re responsible for the whole story. It’s like having the playground all to yourself. Comics are great fun as well, and it’s wonderful to see what happens to your words when artists work their magic, but there’s nothing in writing terms as fun as doing a book. GGP: What book do you feel has influenced your writing style the most? Do you have a favorite author or book series? Basu: Too many to list, really. And different ones for each book. For Turbulence, it’s been Warren Ellis, Neil Gaiman, Garth Ennis, Gail Simone, Brian Bendis, Alan Moore, Brian K. Vaughan – my favorite comics writers. GGP: Do you write every day? Do you have a particular writing ritual? Basu: I really wish I did. I know so many authors who just proceed about their work in an orderly fashion and have vastly exciting daily social lives and hobbies and interests and spare time and things like that. My life tends to be a mad, chaotic scramble, which is why the books tend to be that way as well, I think. I write in sporadic bursts that draw closer to one another as deadlines approach. The plotting and structuring and idea-absorbing, though, I tend to do in a relatively organized way, though. I have a system and everything. GGP: How long have you been writing? Basu: About ten years now. My first novel was out in India in 2003, and I’d just turned 23 then.